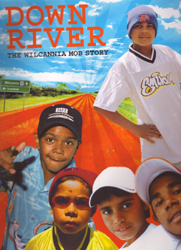 In 2002 the song 'Down River' became an overnight hit, Five boys aged eight to twelve, had recorded their own lines to a simple digeridoo beat and it struck a chord with music lovers across Australia. The boys became known as the Wilcania Mob when the song hit high rotation and the media came looking for the new 'boy band' from far western New South Wales. Till then they'd just been a bunch of passionate kids having fun at a holiday workshop. 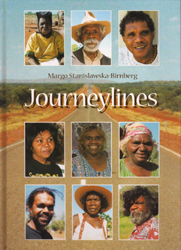 This book is an illustrated version of the journey taken by those five young boys, their families and their community. It traces their origins from a makeshift recording studio in Wilicania, to centre-stage in front of 20,000 fans at the Homebake Music festival, through to having their song remixed by London based hip hop artist M.I.A and released to an international audience. Images of Jamaica and the Bahamas as tropical paradises full of palm trees, white sandy beaches, and inviting warm water seem timeless. Surprisingly, the origins of those images can be traced back to the roots of the islands tourism industry in the 1880s. As Krista A. Thompson explains, in the late nineteenth century, tourism promoters, backed by British colonial administrators, began to market Jamaica and the Bahamas as picturesque tropical paradises. They hired photographers and artists to create carefully crafted representations, which then circulated internationally via postcards and illustrated guides and lectures. Illustrated with more than one hundred images, including many in color, An Eye for the Tropics is a nuanced evaluation of the aesthetics of the tropicalizing images and their effects on Jamaica and the Bahamas. Thompson describes how representations created to project an image to the outside world altered everyday life on the islands. Hoteliers imported tropical plants to make the islands look more like the images. Many prominent tourist-oriented spaces, including hotels and famous beaches, became off-limits to the islands black populations, who were encouraged to act like the disciplined, loyal colonial subjects depicted in the pictures. 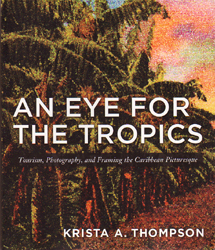 Analyzing the work of specific photographers and artists who created tropical representations of Jamaica and the Bahamas between the 1880s and the 1930s, Thompson shows how their images differ from the English picturesque landscape tradition. Turning to the present, she examines how tropicalizing images are deconstructed in works by contemporary artistsincluding Christopher Cozier, David Bailey, and Irénée Shawat the same time that they remain a staple of postcolonial governments vigorous efforts to attract tourists. David Fleay is known as the Founder of Conservation in Australia. He was the first person to breed the platypus in captivity an event not repeated for another 50 years. 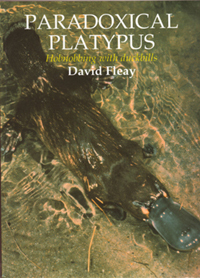 This new edition of David Fleays classic book Paradoxical Platypus, is introduced by Michael Archer, as well as a forward by Dr Steve Van Dyck, Senior Curator of Vertebrates at the the Queensland Museum. Originally printed in 1980, this ground-breaking book laid the foundation for research in this field and offers a fascinating insight into a remarkable Australian. In this exciting interdisciplinary collection, scholars, activists, and media producers explore the emergence of Indigenous media: forms of media expression conceptualized, produced, and created by Indigenous peoples around the globe. Whether discussing Maori cinema in New Zealand or activist community radio in Colombia, the contributors describe how native peoples use both traditional and new media to combat discrimination, advocate for resources and rights, and preserve their cultures, languages, and aesthetic traditions. By representing themselves in a variety of media, Indigenous peoples are also challenging misleading mainstream and official state narratives, forging international solidarity movements, and bringing human rights violations to international attention. Global Indigenous Media addresses Indigenous self-representation across many media forms, including feature film, documentary, animation, video art, television and radio, the Internet, digital archiving, and journalism. 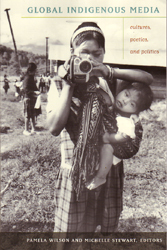 The volumes sixteen essays reflect the dynamism of Indigenous media-making around the world. One contributor examines animated films for children produced by Indigenous-owned companies in the United States and Canada. Another explains how Indigenous media producers in Burma (Myanmar) work with NGOs and outsiders against the countrys brutal regime. Still another considers how the Ticuna Indians of Brazil are positioning themselves in relation to the international community as they collaborate in creating a CD-ROM about Ticuna knowledge and rituals. In the volumes closing essay, Faye Ginsburg points out some of the problematic assumptions about globalization, media, and culture underlying the term digital age and claims that the age has arrived. 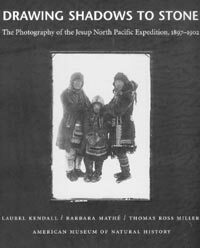 This book features a collection of photographs from an early anthropological expedition to the North West Coast of Canada, Alaska and Siberia. In 1897 Morris Jessup, president of the American Museum of Natural History in New York, sponsored a five-year expedition to the North Pacific. Under the Direction of anthropologist Franz Boaz, research teams studied the cultural and biological similarities and differences among the several peoples living on both sides of the Bering Strait, the presumed route of migration from Asia to North America. The immense research project left a legacy of classic ethnographies, irreplaceable museum collections, and some three thousand photographs. 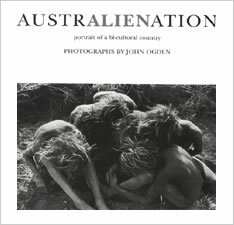 Australienation draws from three decades of John Ogden's work in Australia. With a provocative mix of directness, humanitarianism and humor, this quietly subversive book addresses the process of reconciliation between Australia's Indigenous peoples and the many cultures that came later. 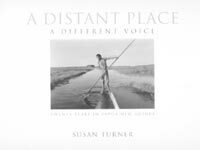 A beautifully illustrated book featuring photographs by Susan Turner who has spent fourteen of the past twenty years living in Papua New Guinea. These photographs reach far beyond a visitor's curiosity or a researcher's ethnography. Her view is much more from the inside than from the outside. The Indigenous people featured in these photographs are gracious and natural collaborators. These tender yet authoritative photographs show remarkable people in their work as hunters, gatherers, and farmers, sharing the hope and persistence that are at the centre of their lives. Each book is signed by Susan Turner. 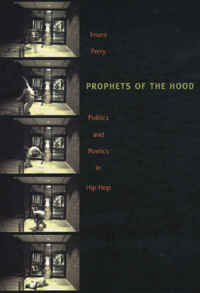 Imani Perry considers the art, politics and culture of Black American hip hop through an analysis of song lyrics, the words of the prophets of the hood. Her innovative analysis revels in the artistry of hip hop, revealing it as an art of innovation, not deprivation. 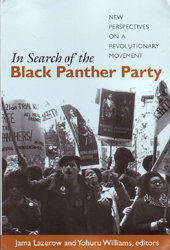 The author offers detailed readings of the lyrics of many hip hop artists, including Ice Cube, Public Enemy, De La Soul, KRS-One, Outkasts, Sean "Puffy" Combs, Tupac Shakur, Lil' Kim, Biggie Smalls, Nas, Method Man, Lauryn Hill and Foxy Brown. She focuses on the cultural foundations of the music and on the form and narrative features of the songs-the call and response, the reliance on the break, the use of metaphor, and the recurring figures of the trickster and the outlaw. Hip hop, she suggests, airs a much wider, more troubling range of Black experience than was projected during the civil rights era. It provides a unique public space where the sacred and the profane impulses within African American culture unite. Paakantji is the languageof the Aboriginal people from Broken Hill, Wilcannia area western New South Wales. This book teaches the names of some favourite animals in a rhyme that will have little ones dancing. If you have an Audio Reader, run it over the pages to hear the sounds. 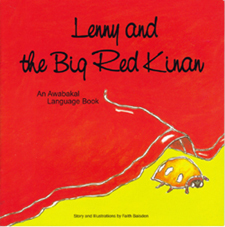 Awabakal is the Aboriginal language from the Newcastle, Lake Macquarie and Lower Hunter region of New South Wales. 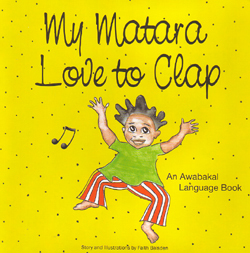 This book lets young readers learn Awabakal words for parts of their body in a rhyme that encourages movement and sounds. If you have an Audio Reader, run it over the pages to hear the sounds. As Lenny takes his walk and collects insects, we learn some of the words that relate to the bush, to the landscape and the little creatures that can be found there. 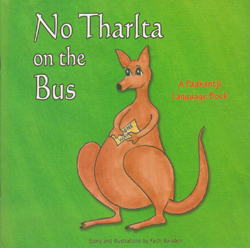 This is a beautifully illustrated childrens book that teaches words from the Awabakal language region of New South Wales. If you have an Audio Reader, run it over the pages to hear the sounds. Herb Whartons first scribbled words have led to a literary career that has seen him leave his hometown of Cunnumulla in south-west Queensland and travel the world. A career that has given him much satisfaction and he hopes that the contents of this book of poems and yarns gives the reader food for thought and entertainment. Margo migrated from Poland in 1963 and has since spent many years in the desert regions of Central Australia spending time with several Aboriginal communities. Her poetry is presented alongside photographs of everyone from singers Ruby Hunter and Archie Roach to artists Clifford Possum Tjapaltjarri, Eunice Napangardi and Mary Dixon Nungarrayi, complemented also by photographs of some of the most inspirational landscapes in the country, from the Tanami Desert, the road to Kintore and the Simpson Desert from the air. She pays tribute to many of the people she encounters on her travels with poems for Billy Stockman Tjapaltjarri, Pansy Napangati, Lily Hargraves, Edward Blitner, Ada Petyarre, sisters Gloria and Nancy Petyarre and well known artist, the late Emily Kame Knwarreye. 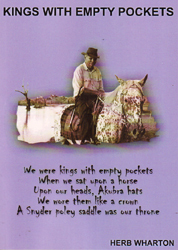 The poetry and photographs tell the story of her learning about the land and the traditional owners of the country she and her family have made home. One of them grew up in a Park Avenue apartment, haunted by a painful childhood, deserted by her father, her mentally ill mother committed to a hospital. She became a physcotherapist. The other grew up in a dirt-floor hut shared by pigs, in the remote highlands of Papua New Guinea. She married a polygamist whose family gave "bride price" to her family and whose fifth wife attacked her with a knife. She became a feminist activist. Somehow, they met. With the heart of a mother and the attuned intellect of an experienced United States psychotherapist, Audrey McCollum explores the life of Pirip Kuru. McCollum discovers that she needs to suspend her Western feminist perspective in order to see Pirip clearly. The more she discovers about Pirip the more she discovers about herself. 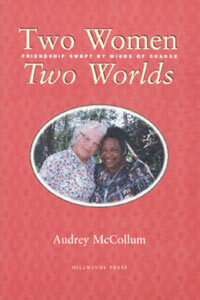 Her poignant memories lend an incredible strength to a story of cross-cultural understanding and gender equality. 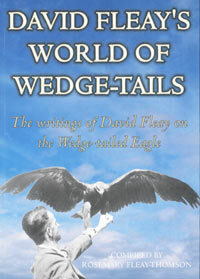 This book brings together the writings of David Fleay as he attempted to educate his fellow Australians on the attributes of the Wedge-tailed Eagle. A bird that was once seen as an enemy to the pastoral industry and was eventually granted total protection. Then the common sight of rows of Wedge-tail bodies strung along barbed wire fences, those gruesome trophies, disappeared from the rural scene. David Fleay's final success in breeding the Wedge-tailed Eagle in captivity took place in 1977 after 42 years of dedicated attempts. These writings show the total admiration and respect expressed by David Fleay for the Wedge-tailed Eagles. 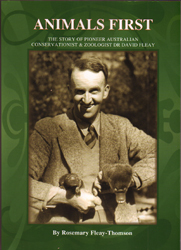 Dr David Fleay's success have been many, the only succesful and scientifically documented platypus breeding in captivity and he milked the first taipan for anti-venene production in 1950. After working for several decades in Victoria he established his own Fauna Reserve at West Burleigh in south-east Queensland in 1952. He co-founded the Wildlife Preservation Society of Queensland in 1962 and wrote a weekly newspaper column for over 30 years. Because of his dedication and persistance to create interest in native fauna and flora, Australians today are much more aware of the uniqueness and value of the bush and its wonderful inhabitants. He was a true trail-blazer for all who have followed in his footsteps. 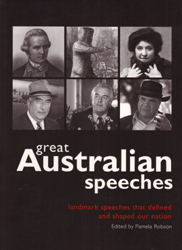 Great Australian Speeches brings together a diverse and often moving collection of over 50 speeches ranging from colonial times to the present day. Some have resonated with a power enough to shape the nation; others encapsulate the best - and worst of the Australian character. This selection proves that stirring oratory is not simply the preserve of politicians and military figures. Some of the people feautured in this book include; Governor Arthur Phillip, Peter Lalor, Robert O'Hara Burke, Ned kelly, Sir Henry Parkes, Alfred Deakin, Miles Franklin, Manning Clark, Malcolm Frazer, Gough Witlam, Paul Keating, Geoffrey Blainey, Mick Dodson and Blue Bob. 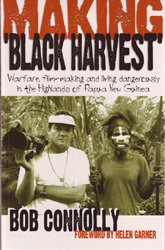 After the death of his beloved wife and film-maker partner, Robin Anderson, Bob Connolly read her diaries from the year they had spent filming a vicious tribal struggle in the Highlands of Papua New Guinea. Living in a grass hut with their two-year-old daughter Katherine, and operating their own camera and sound equipment they recorded 60 hours of footage and the result, the feature-length documentary 'Black Harvest', won awards all around the world. Using Robins diaries as his inspiration, augmented by 60 letters he wrote in the field, Connolly has written a narative that not only sheds light on film-making, but honestly recounts the pair's moral dilemmas as they document the unfolding disaster that overwhelms the people they lived among.